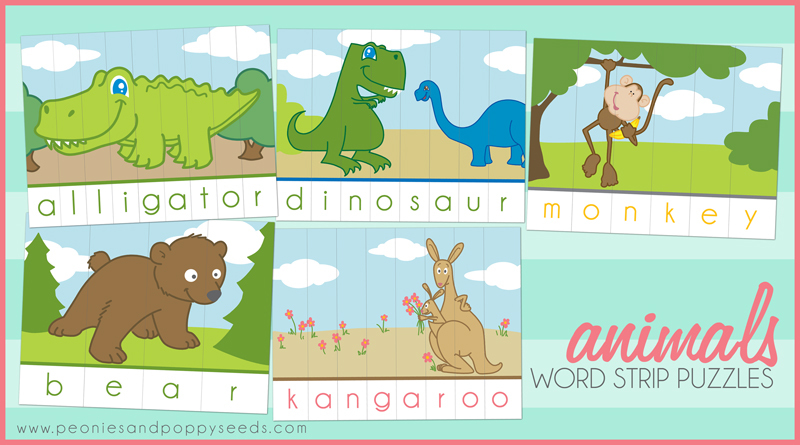 These printable animal puzzles are lots of fun for little fingers. Just print them on thick paper and laminate them so that your kids can play with them over and over. All the cut lines are on the pictures so it's super easy to make the puzzles. And as your kids are putting the picture together they're also spelling the word.